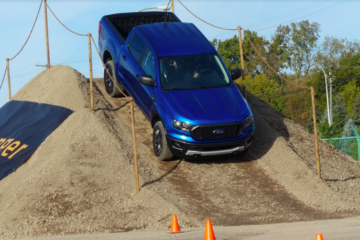 Reading Now:2019 Ford Ranger First Sighting! 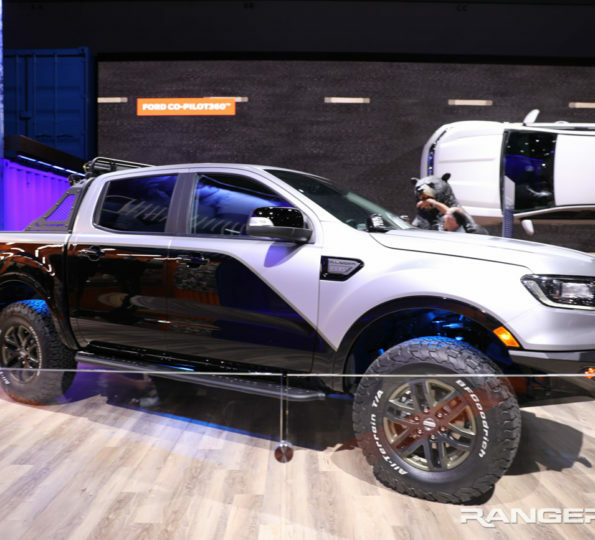 The new 2019 Ford Ranger mule has just been spotted on U.S. ground for the first time since Ford Motor Company officially confirmed its existence last month at the 2017 NAIAS! 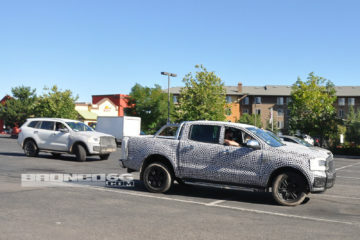 This Ford Ranger crew cab pickup mule is seen running the streets of Dearborn wearing swirly camouflage that does little to conceal the vehicle’s general shape, size and design — all of which point to a mid-size pickup truck that, in its present state, very closely matches the design of the current T6 global Ranger sold overseas. 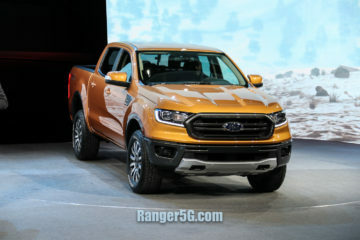 Nevertheless, as the T6 will be a 7-year platform by the time the 2019 Ford Ranger rolls off the line at the Michigan Assembly Plant in Wayne, MI, and Ford has repeatedly marketed this Ranger reintroduction as “all-new” a strong argument can be made that the global styling cues we see on this mule are only temporary. 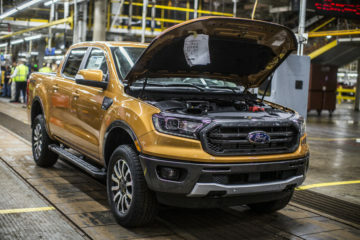 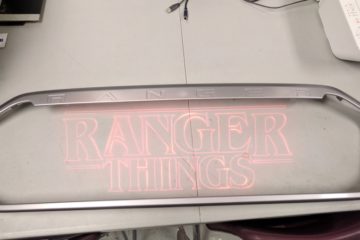 Given the aging platform and vehicle design we believe the production 2019 Ford Ranger will receive a makeover to “toughen up” the look of the vehicle’s hexagon grille, narrow headlights, large rectangular taillights and generous flatbed to better cater to North American buyers’ tastes. 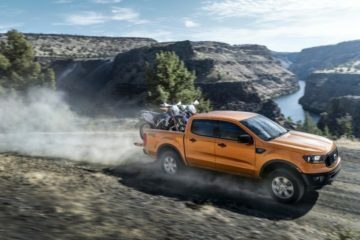 We’ll have to wait to find out as the 2019 Ford Ranger makes its North American debut next year. 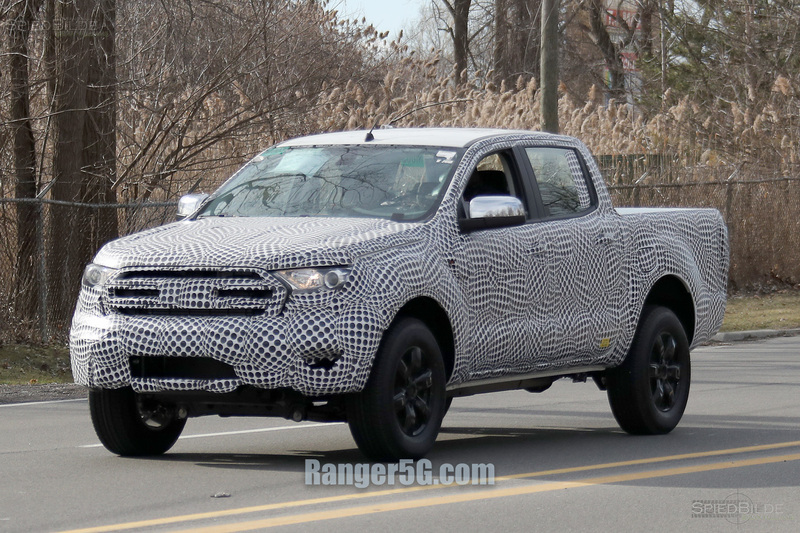 See the first 2019 Ford Ranger spy photos in our forums.